We think Rita Ora has mastered the jumpsuit at this point. The singer has rocked this clothing style countless times in the past, and just recently, she was spotted wearing an Antonio Berardi Fall 2016 one-shoulder creation for a stroll around Manhattan. 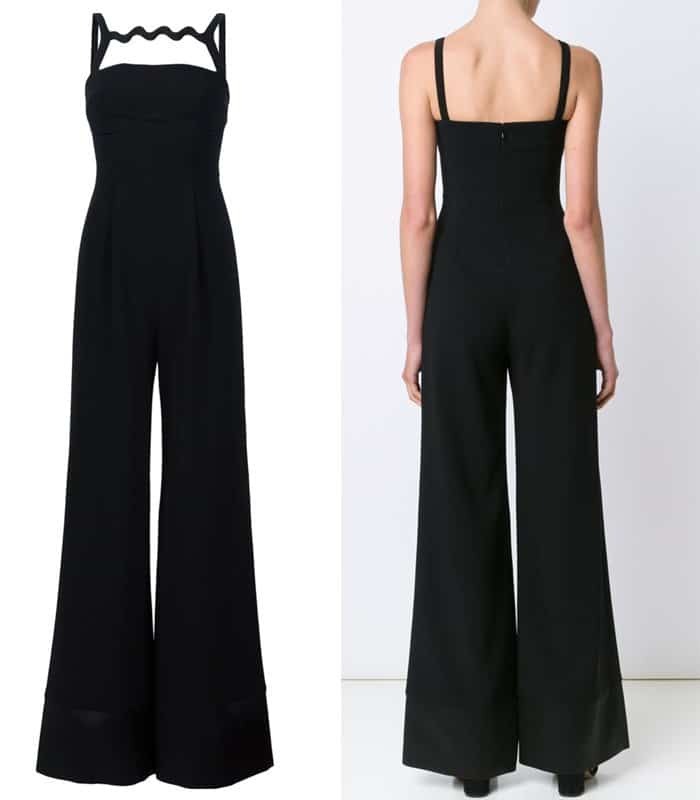 The jumpsuit also features an overlapping front lapel, stud detailing and front pockets. Rita styled it with a pair of t-strap sandals and hoop earrings. We also can’t help but admire the flawless make-up and the retro hairdo. We think this outfit is chic enough to be worn for more formal functions. 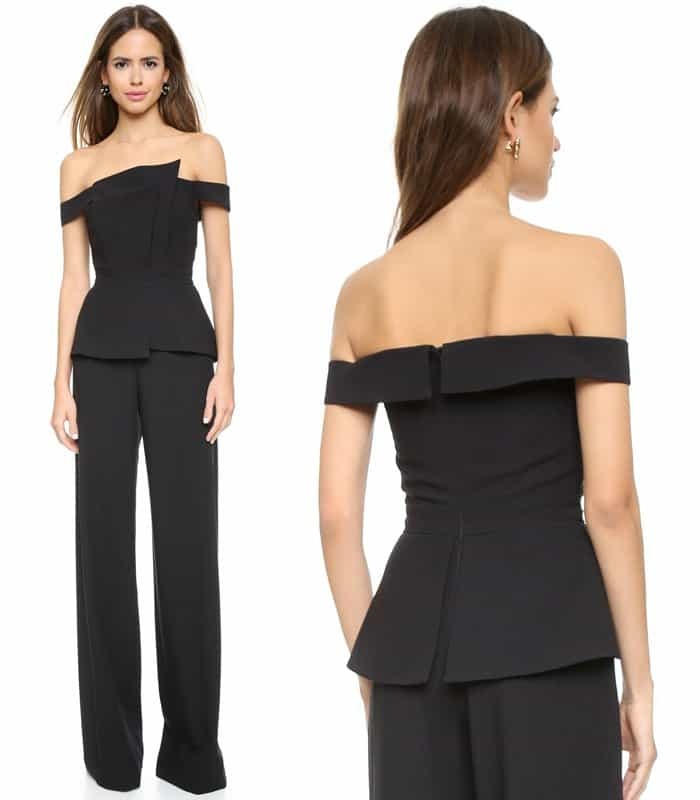 If you can’t get your hands on the exact same Antonio Berardi creation, the following similar jumpsuits would give you the same look and silhouette. What do you think about one-piece clothes like this? How would you wear a jumpsuit?